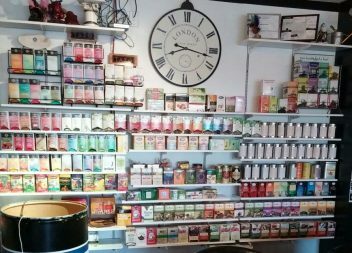 Yes, we’ve got coffee and we definitely have tea but come in and you might notice that we’re a little different than regular coffee shops. We opened our doors on the 1st of December back in 2011 and we’ve grown with one core concept in mind, Love. This has allowed us to create a thriving community of friends and family who share our values. It doesn’t matter what background you come from or what religion you follow we are all human. Everything we build and create comes from this foundation; we hope you’ll come along for the journey. SippChai Cafe opened its doors Dec 1st of 2011. The idea was to be an alternate to the main stream way of things. Today, life is busy on the go. Fast pace, fast service, fast food, deadlines, and drive throughs. Where people don’t have the time to sit and enjoy their beverage anymore. And, even if they do decide to stay and relax, the seats are always hard and uncomfortable! Well, not here at SippChai Cafe. Every seat in the house is comfortable. Almost like a living room away from home. Being Indian, we put our focus on Chai (tea). The tradition of Chai is an old ritual. When guests come over they are always greeted with Chai. It’s a time of sitting back and enjoying the moment. Whether to be social or just sit back and relax. We do offer more than just Chai. Serving all local products, we have Ethical Beans Coffee, Birchwood Dairy Ice Cream, Krispy Kreme Donuts and some home made food such as Wraps, Soup and Butter Chicken. Breakfast Lunch and Dinner. Open 7 days a week. It was 2 cups of tea, one in India and one in Germany that help change my perception in life. Now our slogan is, “Helping change Lives one Cup at a Time”. We are very community oriented and sponsor/donate to many causes. Come me check us out. You will be back. Great place to grab a drink, their chai latte is very good, the atmosphere is great and the owners are super nice and outgoing. Once you go, you won't help becoming a returning customer! Love it there, best customer service in town, good prices and the most delicious chai tea and butter chicken. A real authentic gem in Abbotsford and you'll love the atmosphere. Good place for groups or by yourself with and a perfect place for a nice date! Jaz is great! He knows and exemplifies customer service better than any other business owner I know. As you might expect, the chai is excellent as well. While sometimes it is a bit crowded, it offers nice atmosphere and very comfortable, even cozy, seating. This is the coolest little shop. Reasonable prices, awesome tea, amazing food, super Indian environment!!! Love it!! Locally owned with plenty of seating. If you're looking for a quick stop or a place to settle in with some friends, SippChai is worth the trip. If you come at the right times of year, there are even festive decorations. Plenty of tea and coffee options, but it doesn't stop there. Soups, milk shakes, food options and more are all available. If you're looking for something a bit less commercial, they won't disappoint.